On March 20, 1998, Linda M. Scrutchfield had her third open heart surgery. At the age of 51, Linda is one of those people who gets used to being called a survivor; at thirteen years old, she had rheumatic fever and found out the two heart valves were no good. Her son was born in the CCU when Linda was admitted for heart failure. Six weeks later, Linda had her first heart surgery. Later, she had a tumor the size of a baseball removed from her arm. After that, a hysterectomy followed. Then a second heart surgery. But when Linda had this third heart surgery, she learned the true meaning of survivor…blood had built between her brain and skull and the doctors had to drill to relieve pressure on the brain. Though she survived the surgery, within twenty-four hours, Linda developed ARDS. She spent the next six to seven weeks in a coma, three months in the ICU and another month in rehab. 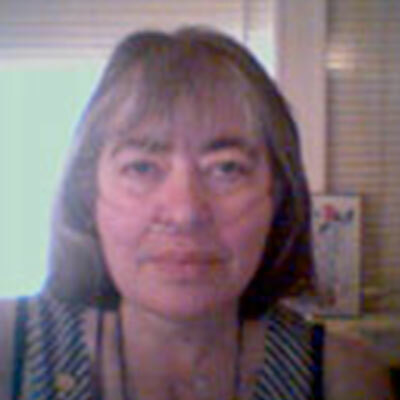 Linda is now on oxygen twenty-four hours a day and has COPD, which developed as a result of the ARDS. Linda, who lives in Oklahoma, has been married for 34 years and has two children and nine grandchildren. Linda writes verses and Prayers for those in need and does this to show my love for life. On March 4, 2004, ARDS Survivor Linda Scrutchfield was sent by ambulance to Saint Francis hospital in Tulsa, Oklahoma. She was in respiratory failure from pneumonia and also had congestive heart failure. Eventually, she was diagnosed with ARDS a second time. Sadly, on March 9, 2004, Linda passed away quietly and peacefully early that morning at about 12:20 AM. Linda never regained consciousness. Her husband, Sonny, and their daughter and son were with her.